· Ann. Ult., 247 "In a bull ... of pope Alexander VI. 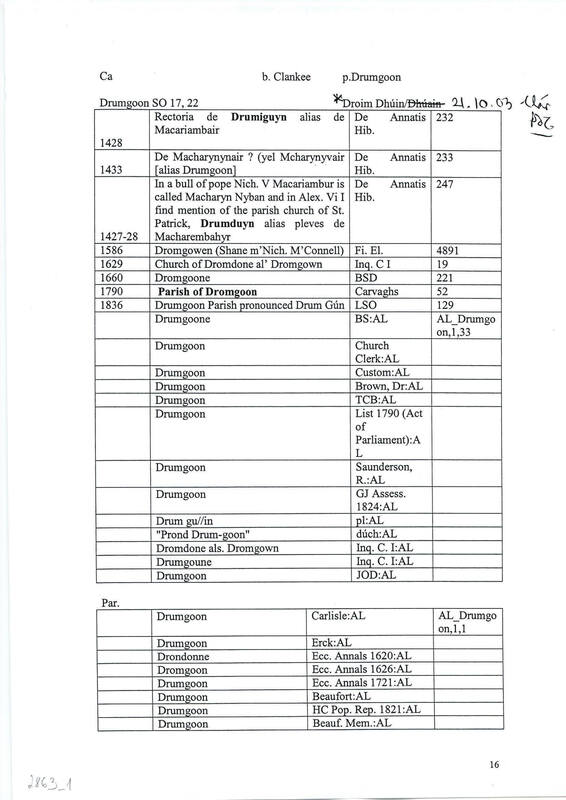 [1492–1503], I find mention of the parish church of St. Patrick, Drumduyn, alias plebes de Macharembahyr." 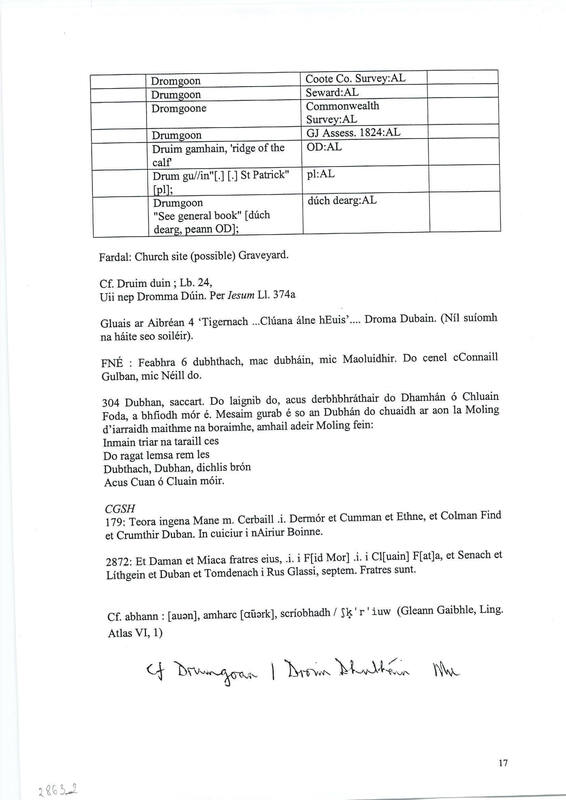 · LSO (Ca), 58\129 "pronounced Drum Gún...St. Patrick is the patron St."